Adobe has released an update to Lightroom 4.4 today. The new update includes bug fixes, new lens profiles, and support for 25 new cameras including the Canon EOS 1D C, Nikon D7100 and Samsung NX300. This release also includes improved support for the X-Trans image sensor in FujiFilm cameras, such as the X-Pro1. See the Lightroom 4.4 ReadMe file for additional details. The Macintosh version can be downloaded here and the Windows version here. Adobe has posted an update to Lightroom 4.2 and Camera Raw 7.2 fixing various bugs and adding support for new cameras. Included in the update is the support for new cameras including the Canon 650D/Rebel T4i, Fujifilm X-E1, and Sony DSC-RX100. The update also adds Album Support within the Revel Publishing Service and corrections for issues introduced in previous versions of Lightroom. 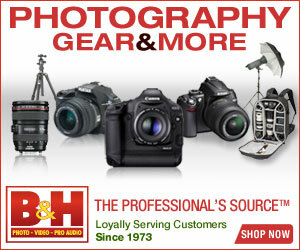 There's also new support for a list of cameras including the Nikon D800 & Canon 5D MIII. Here's the full list of fixes and added support. You can get the update by checking for Updates in the Help menu of Lightroom & Photoshop or download it from the Adobe Website. Adobe Labs has posted a release candidate update to Lightroom 4.2. The new release supports new cameras including the Canon Rebel T4i, adds new lens profiles, and fixes various bugs and issues. The update also now fixes tether support for the Nikon D4, D800, and D800E (win only). You can read more about the details here and download the update here. A Release Candidate is a pre-release of the update to get user feedback and make sure it works all right before the official release.